Each child represents another unique and gifted individual who will build a beautiful life, help make a difference to their community and society, and be a bridge to the next generation. It is for this reason that Chabad of Cutler Bay & Homestead places a heavy emphasis on Youth Programming as we aim to provide a rich array of Jewish programs that will benefit all ages, help them have an understanding and appreciation of who they are, strengthen their core v and be able to feel proud about their heritage and identity. Read below for the many exciting programs which we offer which include, Mini Chef, Exciting Educational Holiday programs, Private Tutoring and many other events and programs. 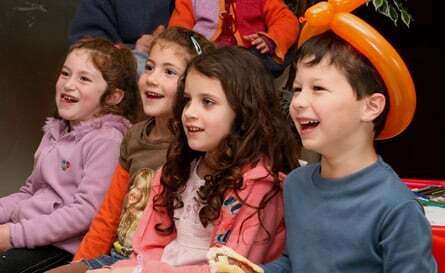 For every major holiday we have exciting programs for the youth, such as the Youth Services for the High Holidays, a unique Simchat Torah Program, multiple Chanukah Programs, an exciting Purim Program, a Model Matzah Bakery for Passover, and many other smaller holiday programs throughout the year. In addition we offer several large cultural and educational programs which are linked to Jewish Culture. This year some new and exciting plans are in the works. For more about the Holiday Programs click here. To view all our upcoming programs please click here. Your kids don’t have to wait until they are adults to try out a cooking class. The class is geared to not only bring the social fun and excitement of cooking but also provide an experience that is based on developing fundamental life and educational skills for your Junior Chef. Growing gourmets will have the opportunity to cook and have fun in the kitchen. They will be introduced to cooking vocabulary and techniques, tools and utensils, basics of etiquette, nutrition, safety, kitchen math and new foods! All kids cooking classes are structured to provide hands-on, interactive instruction. Students learn to make a main course, or side dish or dessert and then enjoy the fruits of their efforts. 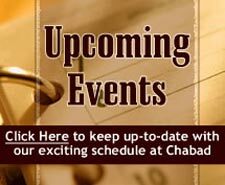 To sign up for our email updates for the latest in youth programs email mindy@chabadhomebay.com or click here. Click here to help support all these crucial programs.